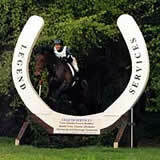 Legend Services specialise in Cross Country Courses for horses and ponies and Show Jumping equipment. Based in the heart of East Anglia we have been designing and building cross-country courses since 1984 for the private individuals to advanced horse trials. 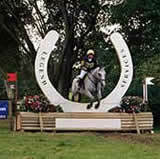 We are currently C listed designers and B listed builders for British Eventing. 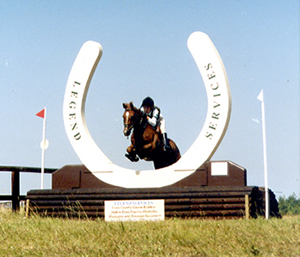 Legend Services can offer a complete cross country course design and construction service. We can also give expert advice on improving you existing facilities. Please call us for a consultation. We designed and manufactured the original Mobile Cross Country Obstacles now used throughout the trade. New designs are constantly being developed and added to our range. We can also offer specialised builds to suit your own requirements. We also manufacture timber show jumps and working hunter fences and are agents for PolyJumps including the new FEI safety cup which has now brought plastic show jumps into our fold. We have provided various services for The Pony Club of Great Britain, Riding Clubs, Horse Trials, UK Chasers, Military establishments and educational facilities.